What was your background before your company became a Direct English Master Franchisee? The company already specialised in English Language Training and testing TOEFL and TOEIC. They decided to branch out and focus initially on English Language Training for children by becoming the Pinguâ€™s English Master Franchisee with the Linguaphone Group. Once we had started to develop a strong network of Pingu’s English training centers across Indonesia, taking on Direct English was a logical step. I personally joined the company in March 2015 and have a strong background in education. I was actually the Master Franchisee for a company called Computer Assisted Learning, part of the Informatics group in Singapore between 2001 and 2006. What was it that attracted your company to our Franchise? 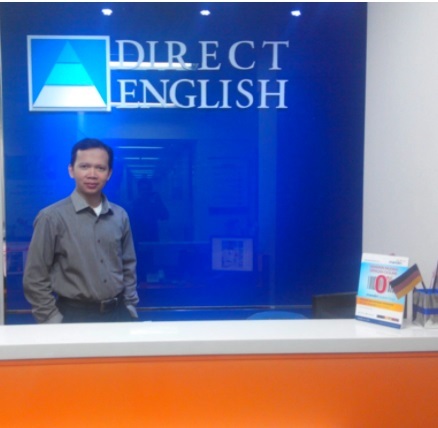 Direct English is an international brand with huge potential for development across Indonesia. Especially in this ASEAN Economic Community era, the demand for standardised English has become a critical requirement and a must-have skill. Direct English will help communities and the government to help everyone increase their confidence to communicate in English with the global and regional community. How long have you now been with Direct English? We took on the exclusive Master Franchise rights to Direct English for Indonesia at the end of 2013. We now have Direct English language training centers across Indonesia in Jakarta and Malang, and will shortly open a new center in Yogyakarta. We are really excited about our plans to expand further across Indonesia! What are the unique benefits of being a our franchisee partner? We help the Indonesian community in developing their confidence in communication through the support of the global Direct English network. Being able to communicate in English is a major skill everybody must have nowadays. We are confident that Direct English will help us to achieve this. As well as ongoing marketing and business development support, we have received a lot of eye-catching marketing campaigns from the Linguaphone Group. We particularly enjoyed the Direct English Superheroes campaign, which was very well received in Indonesia! What advice would you give to someone considering investing in a Direct English Master Franchise? Carry out extensive research before deciding on your pilot center location and evaluate the costs in detail. It is of course crucial for the center to be in the right catchment area to attract as many students as possible. We have had great feedback from our students. They seem very happy with Direct English. Many have moved over to Direct English from competitors and have told us that they like the face-to-face teaching you get with Direct English rather than just online practice. They enjoy coming to the centre and interacting with other students, and like that the course is flexible and fits around their busy lifestyles. High-quality materials and well trained teachers are also examples of positive feedback we receive from students on Direct English. It is crucial to get your marketing exactly right and decide on your marketing plan at an early stage. We have recently decided to advertise in some of the large local bookstores and are working hard on our social media campaigns. I would also say it is crucial to start partnering with companies and schools as soon as possible since they are an important target market for us. What are your plans for Direct English in Indonesia over the next 5 years? We would like Direct English to be recognised nationwide and are looking to open many more new centers between now and 2020. Up and till now we have mainly focused on retail training. In the months ahead, Direct English Indonesia will be working very closely with corporate and private secondary schools to encourage them to include Direct English into their programs.